My wife and I recently moved about 40 minutes away from our church. As covenant members of our congregation, we met with our pastors and told them we would like to find a church closer to our new home and would appreciate their blessing to do so. They didn’t think twice, and in fact gave us recommendations about churches in our new area that aligned with the gospel. What a relief! But that started a months-long search for a new church home that revealed some things in our hearts that we needed to work on. Let me explain. See, we started trying out different churches every week. We’d go to one, then talk about what we liked and didn’t like, and then not go back. We’d go to another, talk with a pastor there, and then go to lunch and pick apart what he said. We’d grade the worship, the preaching, the greeting, the children’s ministry, and even the parking situation. We started keeping a type of unofficial points system in our minds. After one Sunday, we started feeling exhausted. And that’s when we finally did what we should have done from the beginning: we took it to the Lord in prayer. The answer came pretty quick: One of the churches we had visited but “docked” for less-than-perfect worship was where He wanted us. Within a week we started the membership process. If only we would have done that sooner we would have saved so much time and wasted energy! Here’s what we realized. We were treating finding a new church like used-car shopping. We were looking to be wowed and sold. And when we found the tiniest thing we didn’t like, we picked at it until it became something big enough to make us move on. A church could have “everything” we were looking for, but if we didn’t just “feel it,” we kept looking. In other words, it became all about us. In his marriage course, Kirk Cameron made an observation: What if marriage isn’t about making us happy, but rather making us holy? I think the same thing goes for churches. My wife and I were looking to be tickled just the right way, instead of seeking the Lord about where HE wanted us and where we would grow. And that brings me to the “most damaging” aspect of this article’s headline. I was scrolling through my Facebook feed yesterday and came across an article for Relevant Magazine. The author, CM Joyner, details “The Most Damaging Attitude in Our Churches.” That attitude? Cynicism. 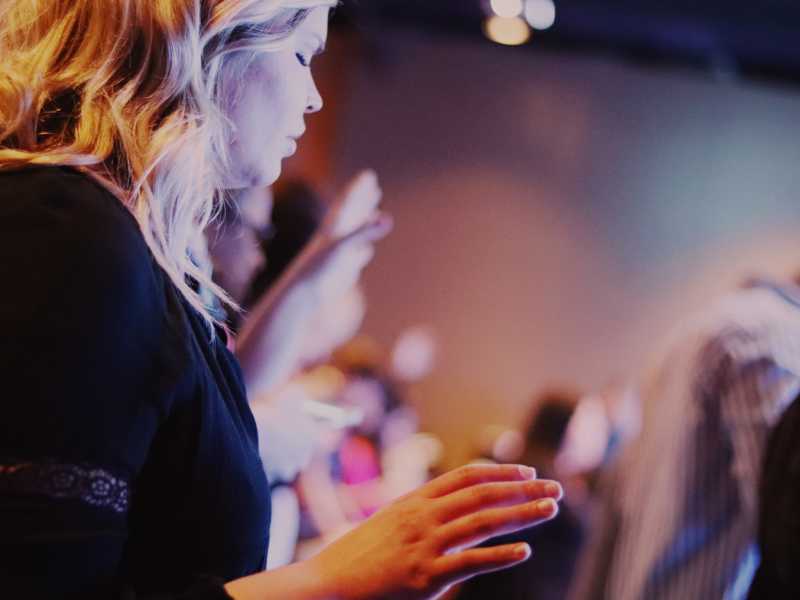 Are you looking for a church that will make you “feel all the feels,” or are you looking for a church that God will use to challenge you, grow you, and bring Him glory? But when we recognize the dangers of subtle cynicism, we are able to engage in honest conversations that are productive, loving and full of grace. When Paul wrote to the church in Philippi, he addressed a steady stream of negativity. He pleaded with the church to rally around their shared love for Christ, sacrifice for each other and “do everything without grumbling or arguing.” With this as our example, let’s remember the following when we are tempted to snap sarcastic quips or offer unsolicited insight. Unveiling flaws outside of ourselves requires little to no personal sacrifice. Examining the depths of our own brokenness requires vulnerability and risk, both of which are essential for growth. Life in Jesus involves the death of self (Mark 8:34-35). This is difficult to do while clinging to the belief that we know more than someone else. But as we move into a space of grace, our eyes are opened to lessons we were blinded to before, and we begin to find the places in our hearts God longs to address. If we are too busy discussing the ways everyone else needs to change, we lose the ability to see our own need for restoration and we get stuck rather than grow. That’s exactly what my wife and I were doing while “church shopping.” And it wasn’t helpful. And cynicism can be as prevalent among current members as it can be for potential ones. With all that said, let me give a couple caveats. First, we live in the Bible Belt: Dallas, Texas. That means there are churches on nearly every corner. I understand not everyone has that “problem,” so this may not be everyone’s exact reality. Second, don’t let what I’m saying be construed as encouraging you not to do your due diligence in finding a body of believers with sound gospel theology. I’m not suggesting if you need to find a new church that you settle for the first thing you see. What I am saying, though, is that the process should be Christ-focused. In other words, are you looking for a church that will make you “feel all the feels,” or are you looking for a church that God will use to challenge you, grow you, and bring Him glory? That may mean there are seasons where you are uncomfortable, and being uncomfortable doesn’t mean you should leave. I’m not saying being satisfied and being sanctified are always mutually exclusive, but if you’ve been “shopping” or even church-hopping for a while, you might want to stop and think. When my wife and I did just that, we found the place we had dismissed earlier was exactly where we needed to be. Jonathon M. Seidl is the managing editor of TheCourage. 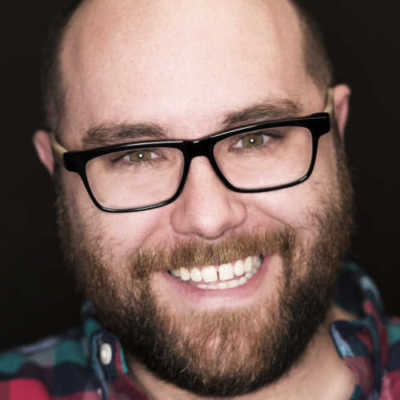 He has served as the editor-in-chief of I Am Second, as well as the managing editor of TheBlaze.com. His writing has appeared in WORLD magazine, the American Spectator, and Fox News. Seidl graduated from The King’s College-New York City with a degree in politics, philosophy, and economics. He lives in Dallas with his wife, daughter, and son.